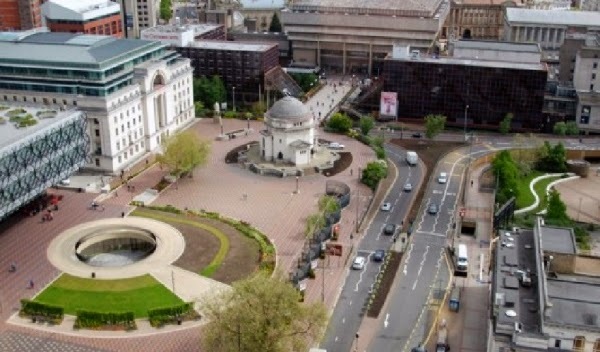 Reba launches contest to rehabilitate the Birmingham Public Square Centenary Square Archi-new - Free Dwg file Blocks Cad autocad architecture. Archi-new 3D Dwg - Free Dwg file Blocks Cad autocad architecture. The Royal Institute of British Architects Reba RIBA announced a global architectural competition for the regeneration Centenary Square Square is one of the largest public spaces in Birmingham, UK, as it adjoins Birmingham conference center, and a theater Auld decidedly Old Rep Theatre, and the Library of Birmingham, designed by the architectural office, which ran for Award Stirling 2014 Meccano Mecanoo. The contest was the result of a desire to move the arena beyond use Kfrag foreign concerts and public events vast size. Birmingham mayor partnered with Reba on the setup of open competition in front of architects, landscape architects and designers Alamranin and students from around the world. The competition comes from after the re-opening of the Birmingham Library in March 2013 in order to pay architects to estimate the vibrant installations. Reba will select five finalists to receive their award five thousand pounds and an invitation to present their designs to the General Committee in March 2015. The last date to download the digital edition of the designs is the second of December, time 14:00 GMT. For more information, visit the contest site RIBA Competitions.